With PhotoPlus Expo coming up next week in New York, Canon is rolling out some new still cameras. 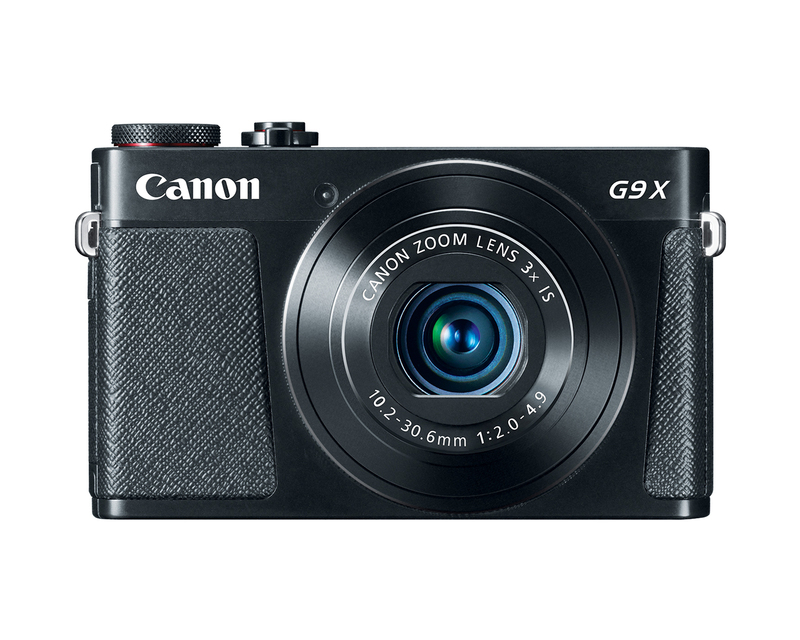 The G5 X puts an eagerly-awaited EVF onto a 20.2 Megapixel, 1.0-inch CMOS sensor pocketable camera with fast f/1.8-2.8 4.2x zoom lens (35mm equivalent of 24-100mm). Canon’s G9X is smaller, slightly slower, with shorter zoom range, and no EVF. And Canon’s new M10 is a new mirrorless APS-C sensor camera with interchangeable lens mount that accepts Canon mirrorless lenses and EOS lenses using an adapter. There are now five PowerShot G-series cameras. The new PowerShot G5 X and G9 X have one-inch 20.2 Megapixel image sensors, built-in Wi-Fi and NFC, and an ISO range of 125 – 12,800. These pocket cameras are good in low light. Video is 1080p Full HD at 24p, 30p, and 60p in MP4 format. Star Trek…er…Star Mode provides more precise focusing that will appeal to amateur astronomers. “Star Time-Lapse Movie” mode lets you show the movement of stars against the night sky. PowerShot G5 X has a built-in high-resolution 2.36-million-dot high-definition OLED electronic viewfinder. I bought the G7 X last November, and while it’s good in low light, I always yearned for an EVF. Controls include top-mounted mode and exposure compensation dials, front and rear control dials, and a customizable control ring around the lens. 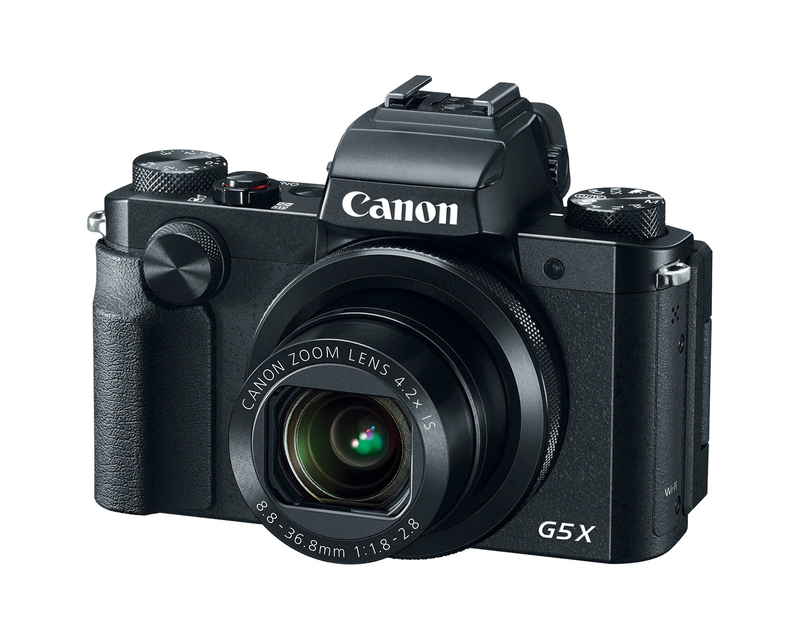 PowerShot G9 X has an f/2.0 – f/4.9, 3x Zoom Lens (35mm equivalent to 28-84mm). There’s a three-inch LCD touch panel. The PowerShot G5 X and PowerShot G9 X use the same NB-13L lithium-ion battery. Both have a wide range of exposure modes from fully automatic to full manual, choice of RAW and JPEG, and built-in ND filter. The PowerShot G5 X and PowerShot G9 X camera kits are scheduled to begin shipping in November 2015 at suggested retail prices of $799.99 and $529.99, respectively. Canon’s EOS M10 mirrorless camera has an interchangeable lens mount and APS-C sensor. It comes with a kit lens: a new retractable EF-M 15-45mm f/3.5-6.3 IS STM lens, that shortens and locks into a compact size when not in use. The M10 works with all EF-M (mirrorless) lenses as well as full line of EF and EF-S lenses using the optional EF-EOS M adapter. It has built-in Near Field Communication (NFC) and wireless remote control with live view in compatible Apple and Android devices using Canon’s free Camera Connect, available from the Apple App Store and Google Play store. 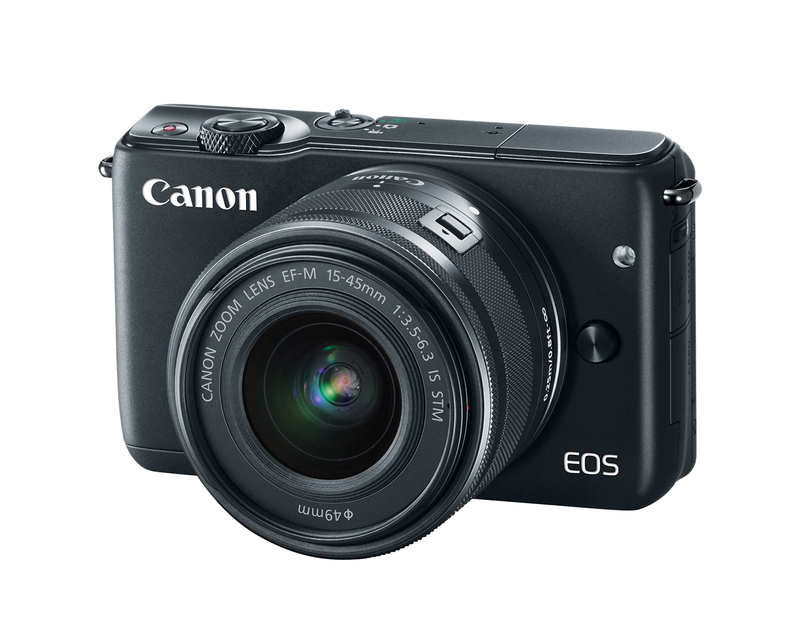 The EOS M10 camera is scheduled to be available through authorized Canon dealers in November 2015, and will be offered in a kit with the EF-M 15-45mm f/3.5-6.3 IS STM zoom lens at an estimated retail price of $599.99.